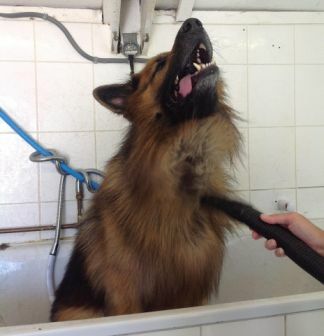 Our on-site Grooming Parlour Clip’N’Strip is run by our qualified dog groomer who has over 10 years of experience. 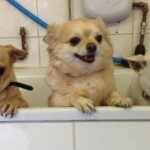 She has also been our kennel manageress for the past 15 years, so knows all our boarders and their love or hate of the bath very well! The grooming parlour is fully equipped with modern equipment and we guarantee that your dog will come out looking and smelling beautiful! 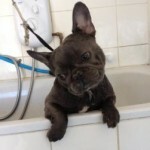 The grooming service is available to both dogs boarding with us and to outside customers. 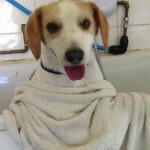 This can either be done following a stay in the kennels or as an independent treatment. We have a wide variety of specialized shampoos and conditioners to suit different dog coats. 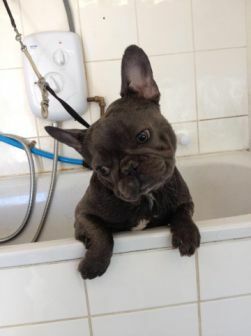 If your dog has sensitive skin please let us know and we will use suitable products, or if you have veterinary prescribed shampoo of your own we will be happy to use this for you. 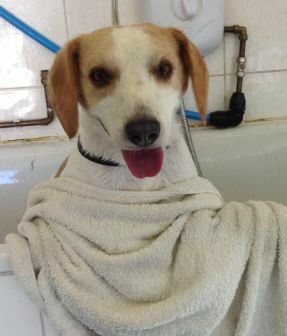 After a thorough bath and rinse the dog’s coat will be dried thoroughly and brushed through as necessary. We have specialist de-matting tools to tackle matted areas. If your dog is too heavily matted, some or all of the coat may have to be clipped off – this will be discussed with you at the time. Pedigree Breeds: We will usually clip to the breed standard unless you specify otherwise. If you would rather have a shorter clip with no skirts, feathers and such just let us know and we will be happy to take it all off! Cross Breeds: Cross breeds can be clipped to the nearest breed standard but if you have something else in mind just ask. 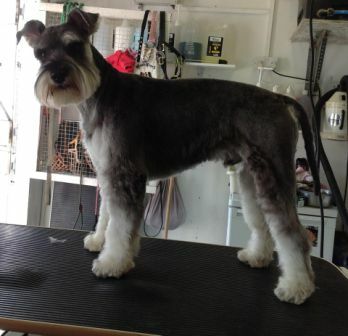 Sometimes in the warmer months customers just want a complete clip-off for their dog. This can be done on most breeds but we will advise you if it is not suitable for your own dog. Certain dogs should be hand stripped where the coat allows – Border Terriers, Cairns, Schnauzers and so on. Dogs can usually be stripped from about 6 months old but ask us to check the coat first and we will advise you if it is ready yet. 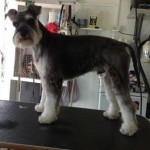 Once stripped you should not then have your dog’s coat clipped as this could prevent future hand stripping. We always check your dog’s nails to assess whether or not they need clipping. 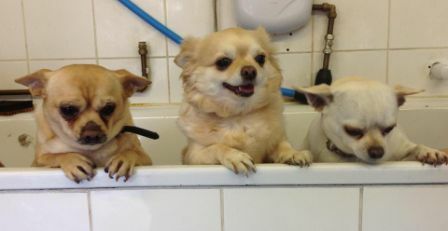 Ears and eyes will be cleaned with specialist products. These prices are for guidance only – the price may vary dependant on coat, condition and temperament of dog. Other Breeds and X-Bred Prices Available on Request.